Would you like to join various splendid spots together from different video sources? 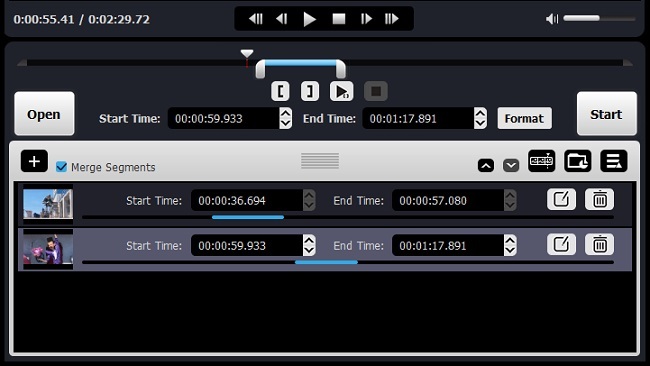 Or do you want to merge several video clips into a new one from the same source by eliminating exceed parts? For some users, there is also a need to combine distinct formats' video files into a complete one. You might prefer to use an online solution, which can bring you the most convenience to deal with your video files. Gratefully, Online Video Merger is such a hassle-free tool for you to choose. 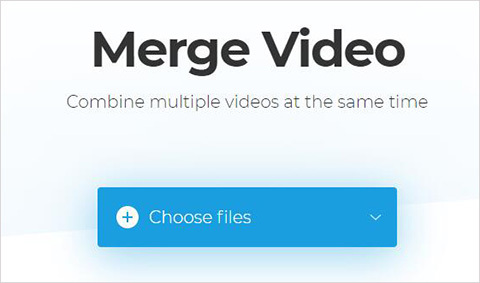 Next you can prepare to learn how to merge videos online. This extremely forthright and straightforward online video joining tool makes it possible for you to merge videos online free. Without any complicated procedures, you can independently finish the whole operations. Let's have a look at the 3 simple steps. Online Video Merger delivers a thoughtful platform for you to add files from computer, Google Drive, Dropbox or online URL. According to your actual need, you can decide to upload video files one by one or at a time. Essentially, you are permitted to add files in different formats as well. You are entitled to add more files and adjust the order as per your requirements. Then it's your time to choose output format, like 3G2, 3GP, AVI, ASF, F4V, FLV, M2V, M4V, MKV, MOV, MP4, MPG, MPEG, MTS, OGV, RM, TS, VOB, WMV, etc. Having renamed the file, you can get down to clicking the "Merge" button to initiate a process to join all video files. Wait for a moment until the merging task completed. Then, you can hit the "Download" button to save it on your local folder. Or you can store it on your Google Drive or Dropbox or play it now for further check. Even though this online video merger can give you liberty to combine videos online with no cost, its limited functions prevent you from doing more processes for your video files. In details, you have no access to preview the uploaded videos in advance and have no way to cut off unwanted parts. 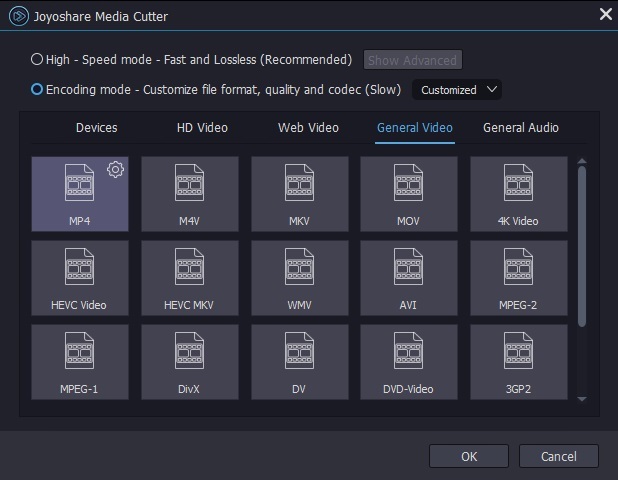 But you are so luck as here you can get to know another powerful choice, Joyoshare Media Cutter that can easily do these things for you. 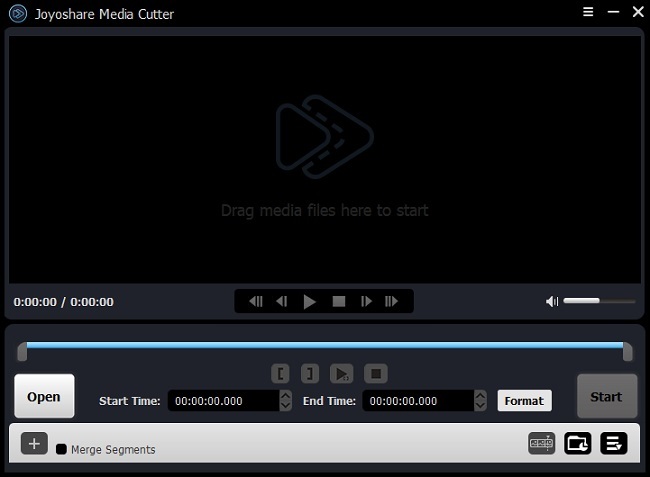 This is an easy-to-operate yet comprehensive video cutter, joiner and editor. 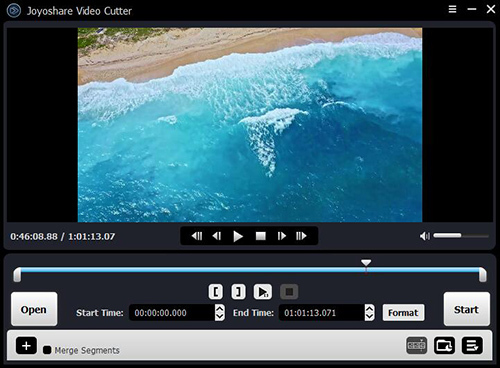 By means of it, you can find there is no problem in trimming large video files into small pieces, removing useless portions, adding cool effects as well as merging video clips together. Broad as Joyoshare is, it is capable of supporting a wide range of videos, like M4V, AVI, MP4, MOV, MKV, OGV, FLV, HD WMV, 3GP, MPEG, etc. Most importantly, this brilliant tool can also empower you to specify the configuration info at your own will, including resolution, codec, bit rate, frame rate, channel, etc. Thanks to its advanced acceleration processor, any cutting and merging tasks can be done at 60X faster speed. Fit out your own computer with Joyoshare Media Cutter. Double click it to directly run it. You can either hit the "Open" button to search required video to add or drag and drop the one you like to the main interface. 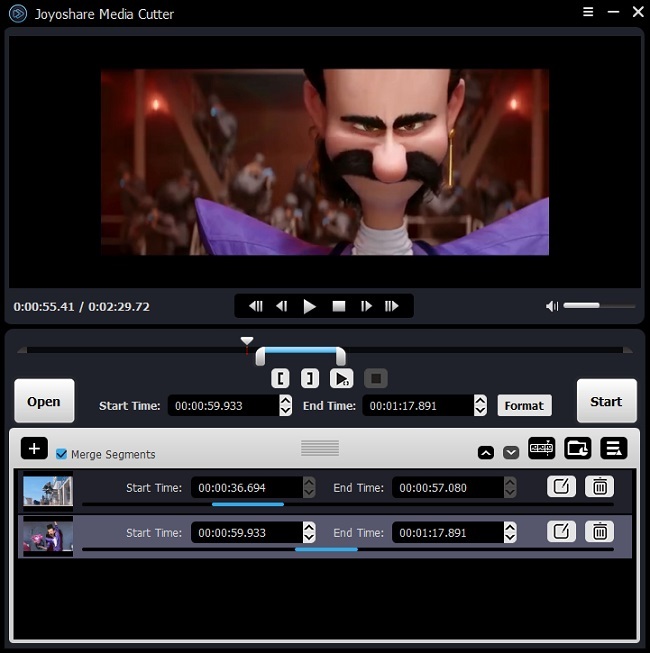 Once the video is loaded, Joyoshare Media Cutter will play it automatically for you. Move the yellow handles to locate exact start point and end point. Or you can fill in the temporal intervals with precise time points. Afterwards, you can go ahead to press the "+" icon to generate more than one video cuts for yourself. 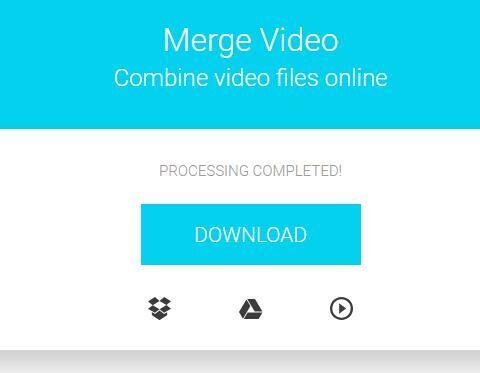 At the same time, you ought to tick the "Merge Segments" option so that when you output them, you can get a single video file. Then press the "Show segment list" icon at the lower right corner to show all clips. Note that each video cut can be adjusted accurately. Click the "Format" panel and you will see a pop-up window. To get lossless result, you have to choose "High-Speed" mode. However, if you feel like to make customized video, you should hit the "Encoding" mode. It allows you to convert video to new format or transfer to portable device. Alternatively, you can as well extract audio from video by exporting it to an audio format. Hereafter, hit the gear icon on the right top of the selected format, you can have right to change related parameters, such as codec, bit rate, frame rate, resolution, sample rate, etc. Note: The "Encoding" mode can facilitate you to edit your video clips as well. Just click the edit button . By doing that, you can trim, crop, rotate your video. Besides, it's also available to insert customized watermark, add sound/video effect, adjust brightness, etc. As everything is ready, you can click the "Start" button to bring up a merging assignment. A short time later, you can go to see the output video in your destination folder.